Alloy 50 Plates Supplier, Alloy 50 Sheets, Alloy 50 A240 Corrosion Resistance Plate Exporter, Hot Rolled Alloy 50 Plate Dealer. Marc Steel is a known manufacturer and stockist of Alloy 50 Plates,, which are generally not produced in machinable forms. Buy Incoloy 50 Plates at reasonable price from us. Meanwhile, the offered Hiperco alloy 50 plates are also available in different and customized sizes and shapes as per clients’ requirements. Incoloy 50 Coils has been used primarily in the manufacture of rotor and stator laminations in motors and generators for aircraft power generation applications. These laminations in Magnifier 50 Plates are stamped from cold rolled strip and must be final annealed in a protective atmosphere or vacuum environment at a temperature which will provide and optimum combination of mechanical and magnetic properties to withstand the high stresses encountered in service. 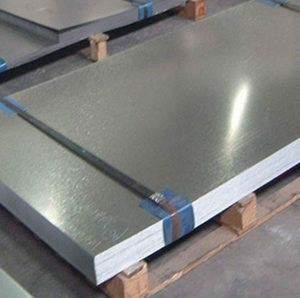 Alloy 50 Sheets (UNS R20501) is a soft magnetic alloy, consisting of 49% Nickel, balance Iron used where high initial permeability, maximum permeability, and low core loss is needed. HIGH QUALITY ALLOY 50 PLATE STOCKIST, UNS S20910 ALLOY SHEETS, HOT ROLLED ALLOY 50 PLATE STOCKHOLDER, CORROSION RESISTANCE ALLOY 50 PLATE EXPORTER, ALLOY 50 ASME SA 240 PLATES EXPORTER IN INDIA. 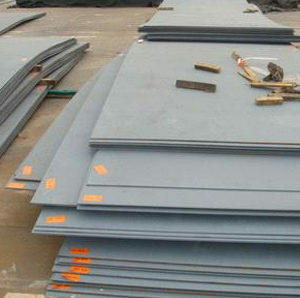 ALLOY 50 PLATE SUPPLIERS, DIN 1.3964 ALLOY STRUCTURAL STEEL PLATE, ALLOY 50 HOT ROLLED PLATES DISTRIBUTORS, ALLOY 50 PLATE DEALER, ASTM A240 ALLOY 50 COLD ROLLED SHEET MANUFACTURER & SUPPLIERS. Alloy 50 Coils is often used in transformer cores, highly efficient motors, shielding, and specialized electronic devices, such as LF power transducers, chokes, relay parts, solenoids & oscillator. Incoloy 50 Sheets is produced in strip form only and contains a small niobium addition for grain refinement during mill processing and final heat treatment of strip. In certain instances in Carpenter High Permeability 49 Plates, special fluxes may be required to obtain good wetting and bonding. In brazing gray cast iron in Alloy 47-50 Plates, it is necessary to treat the surface prior to brazing to remove the graphite. This will ensure good wetting by the brazing filler metal in Hiperco 50 alloy plates. Russia, Kenya, Denmark, Indonesia, India, Yemen, Libya, Iran, Slovakia, Jordan, Poland, France, Taiwan, Hungary, Estonia, Ireland, Chile, Switzerland, Bulgaria, Finland, Pakistan, Czech Republic, Romania, Belarus, Nigeria, Ecuador, Chile, Germany, Mexico, Colombia, Hong Kong, Japan, Mongolia, Belgium, Zimbabwe, South Korea, Brazil, Namibia, Egypt, Bahrain, Oman, Afghanistan, Angola, Gambia, Morocco, South Africa, Peru, Canada, Puerto Rico, New Zealand, Saudi Arabia, Nigeria, Philippines, Macau, Greece, Bolivia, Italy, Kuwait, Norway, Australia, Spain, Serbia, Algeria, Sweden, Azerbaijan, Kazakhstan, Ghana, Vietnam, Bhutan, Ukraine, Nepal, Austria, Poland, Singapore, Mexico, Thailand, Gabon, Turkey, Sri Lanka, Lithuania, United Arab Emirates, United States, Bangladesh, Tibet, Croatia, Argentina, Qatar, Malaysia, Netherlands, China, United Kingdom, Israel, Lebanon, Iraq, Portugal, Trinidad & Tobago,Tunisia, Venezuela, Costa Rica, Iran. Bengaluru, Atyrau, Bhopal, Faridabad, Rio de Janeiro, Mumbai, Baroda, Caracas, Vung Tau, Houston, Tehran, Courbevoie, Edmonton, Moscow, Madrid, Jamshedpur, New York, Indore, Hanoi, Nagpur, Sydney, Jakarta, Milan, Muscat, Dammam, Coimbatore, Nashik, Ahmedabad, Jeddah, Gimhae-si, Colombo, Santiago, La Victoria, Chandigarh, Los Angeles, Granada, Vadodara, Busan, Bangkok, Port-of-Spain, Dubai, Cairo, Algiers, Geoje-si, Kuala Lumpur, Riyadh, Aberdeen, Visakhapatnam, Manama, Bogota, Montreal, Noida, Haryana, Sharjah, Petaling Jaya, Chennai, London, Ankara, Seoul, Ernakulam, Kolkata, New Delhi, Thiruvananthapuram, Ulsan, Ahvaz, Navi Mumbai, Surat, Ludhiana, Chiyoda, Pimpri-Chinchwad, Pune, Kanpur, Toronto, Kuwait City, Lahore, Rajkot, Al Khobar, Perth, Lagos, Calgary, Gurgaon, Mexico City, Karachi, Jaipur, Ho Chi Minh City, Thane, Al Jubail, Dallas, Hyderabad, Istanbul, Howrah, Secunderabad, Abu Dhabi, Hong Kong, Singapore, Brisbane, Melbourne, Doha, Ranchi.